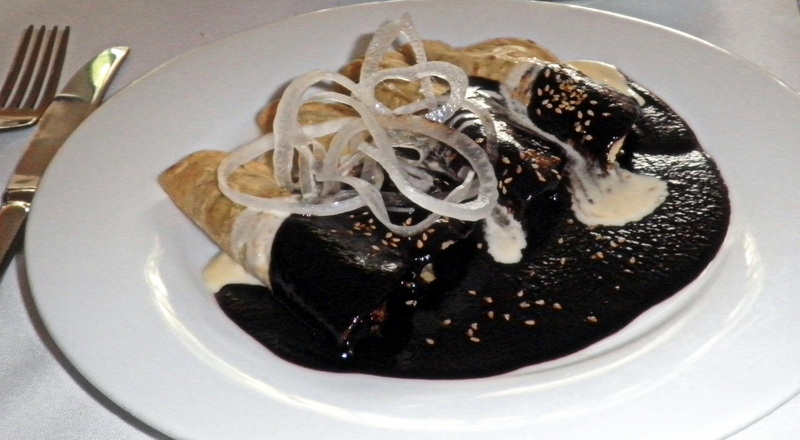 Duck enchiladas in a stunning black Oaxacan mole. At the lovely Polanco restaurant Ixote. Lunch cost more than my hotel that night, but a) I was staying at an inexpensive hotel, and b) it would have been worth it at any price. Here’s something you don’t see on any other menus. 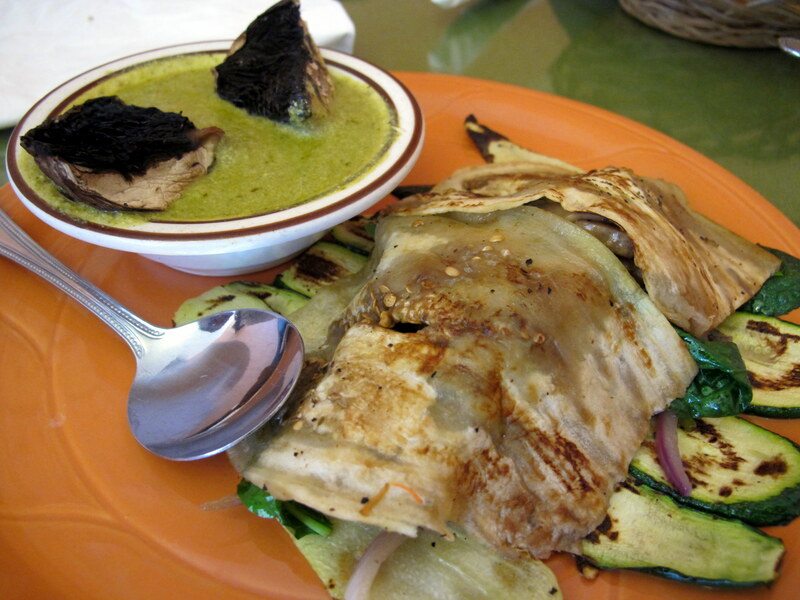 Portabella mushroom with grilled eggplant and zucchini slices, served on a bed of spinach salad… with a pistachio mole! 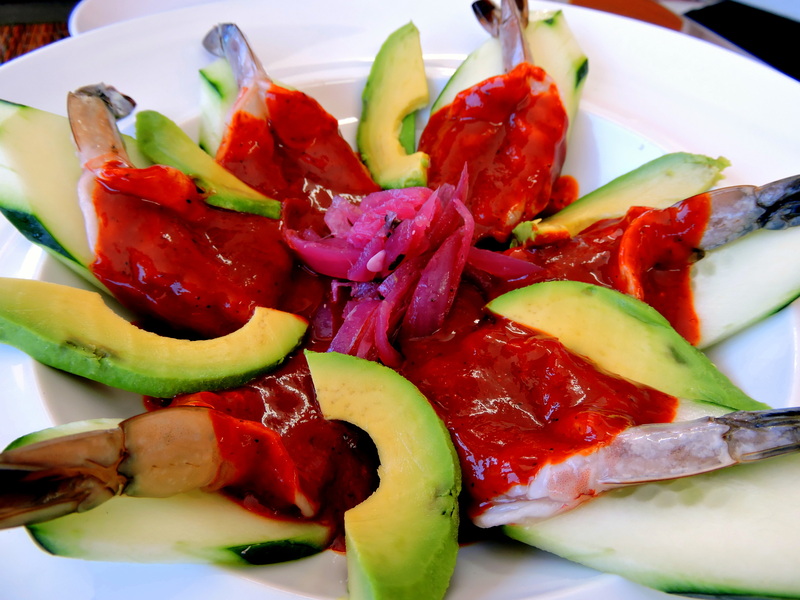 Every bite was perfectly orchestrated, but of course, the mole was the highlight. Toasty and nutty, it also had an almost fruity undertone, balanced with the pleasant sting of serrano chiles. 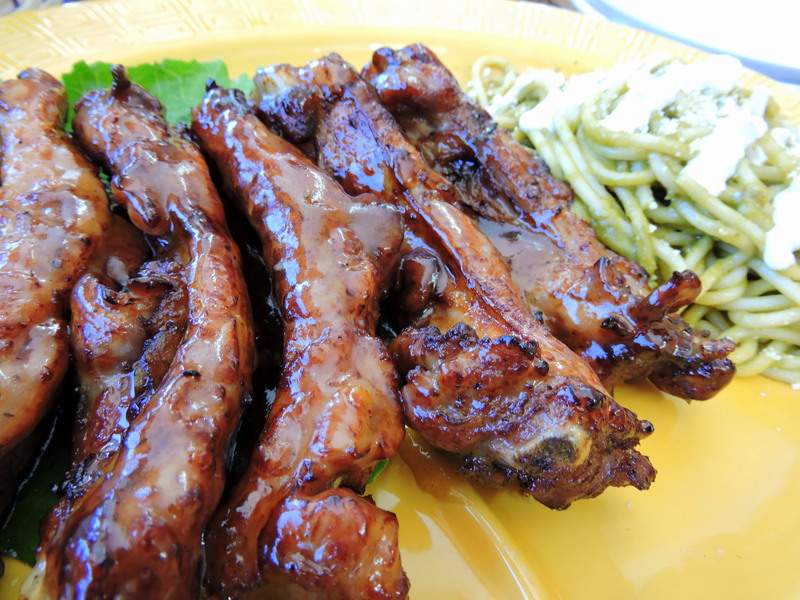 A brilliant vegetarian dish.